Today’s Style Spotlight post features the fabulous blogger Kara, from Innocent Charms Chats. 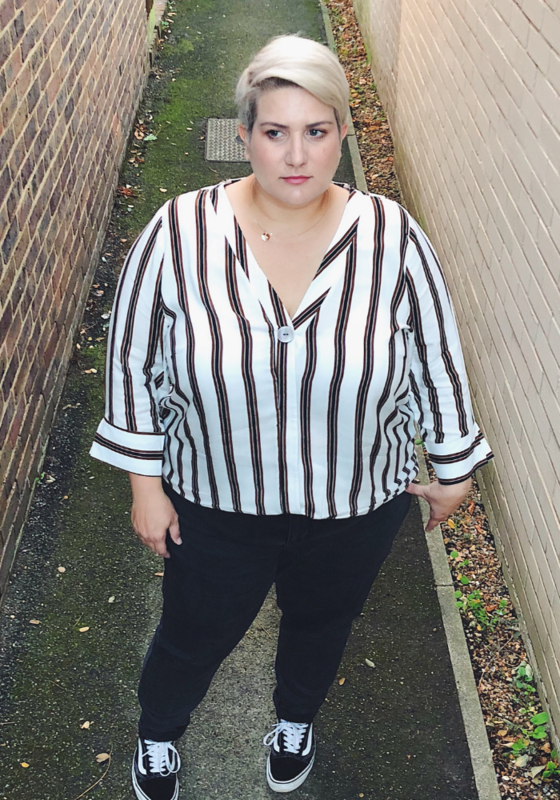 We know each other from the blogging circuit and chat frequently on Instagram, so it’s a massive pleasure to showcase her style and attitude to fashion and beauty here on the blog. Please do show her loads of love. 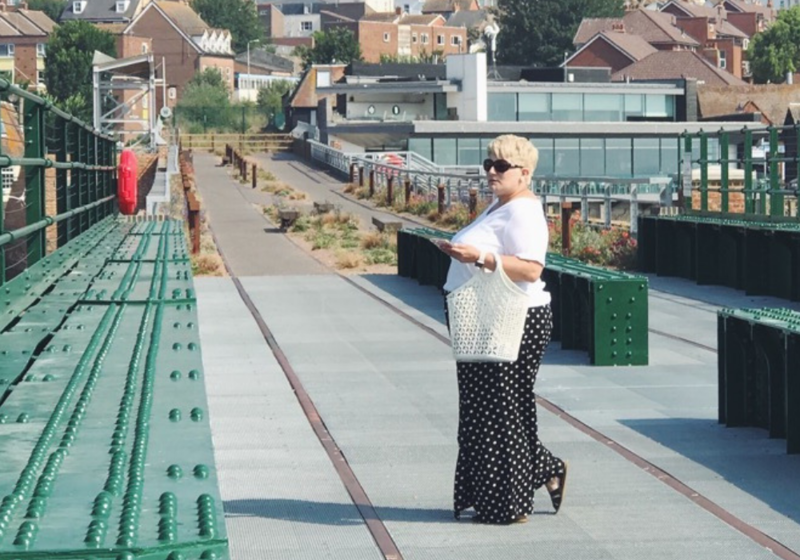 I am a plus sized, fashion focused, Mum of 3 living near the Kent Coast and nearing 40 which I am actually quite excited about, roll on the big party. 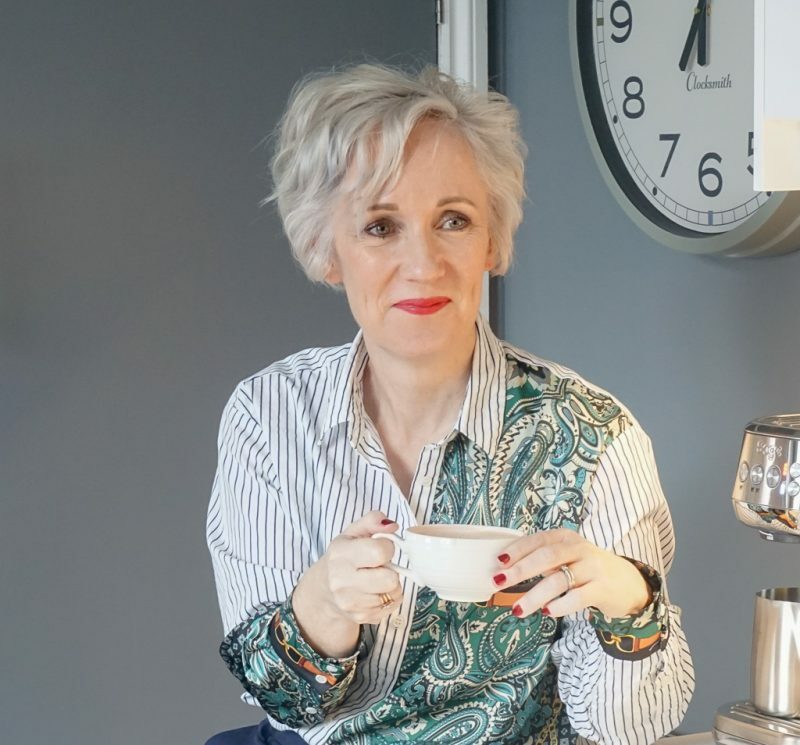 I have been blogging at Innocent Charms Chats for 12 years and I have a real passion for sharing my love of creating, vintage and shopping independent with my community online. 2. What have you learned about fashion over the years and how does it shape the way you shop for clothes now? I would say my biggest learning curve when it comes to fashion, is not to be worried about what is on trend, instead wear what makes YOU feel good! I spent my teens and early 20’s, half the size I am now but wearing clothes that I thought I should wear not what I really loved. I think with age my confidence around fashion and how I dress has grown massively and even though I am now plus sized and getting closer to 40 I really believe people should wear clothes that make them feel good. 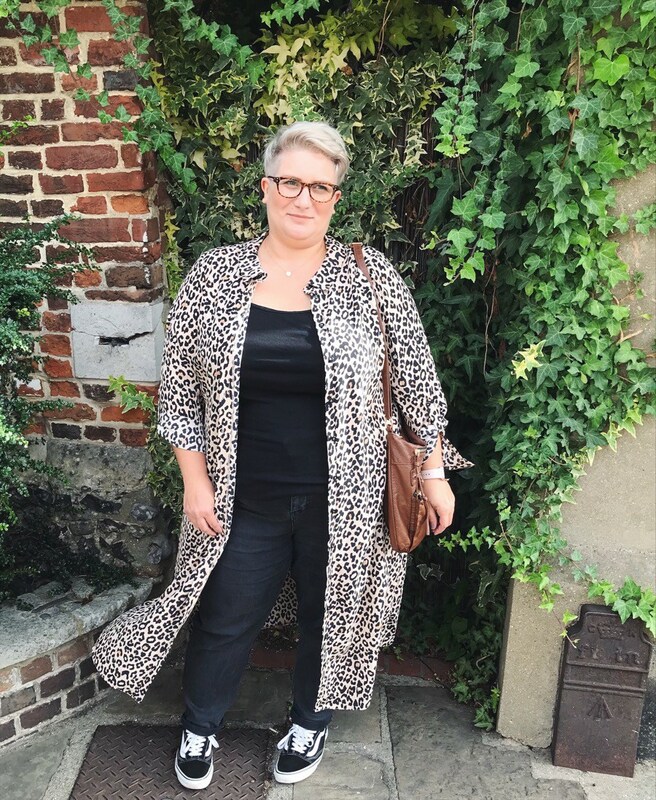 I have quite an individual style and I love to show that, even on the school run and I don’t think that will change any time soon, in fact it seems with age for me I have become more confident at dressing in a way that I love. I believe you do not have to dress to fit one trend or style, if my mood wants leopard print and leather I do it, but the next day I maybe dressed in a floaty floral boho style look, I like to dress for my personality that day. 3. Can you tell us some of your favourite fashion brands and why you like them? This is quite tough for me, as a plus size, short woman fashion it is still quite limited. I tend to love what Zara and & Other Stories have in but they do not cater for me. But I am pretty good now at knowing where I can shop for similar styles. 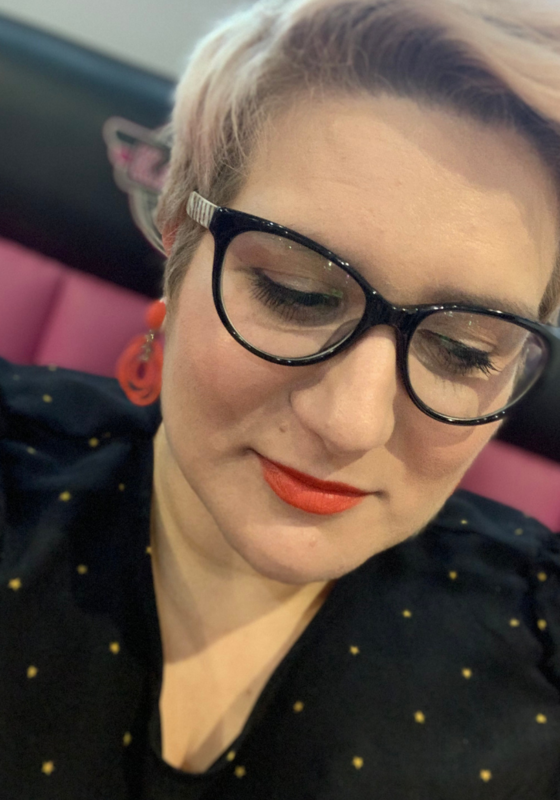 Marks and Spencer is most definitely my favourite shop, I mainly have to shop online but they offer excellent returns policies so I always order a great deal and then return after I have had a mini fashion show for my Husband and usually Instagram Stories. But I also make sure to check out local Facebook groups and Charity shops as I tend to prefer quality items that have a vintage feel, although ASOS is where I head for basics or something I may want that is on trend. 4. What’s your most favourite piece in your wardrobe right now? 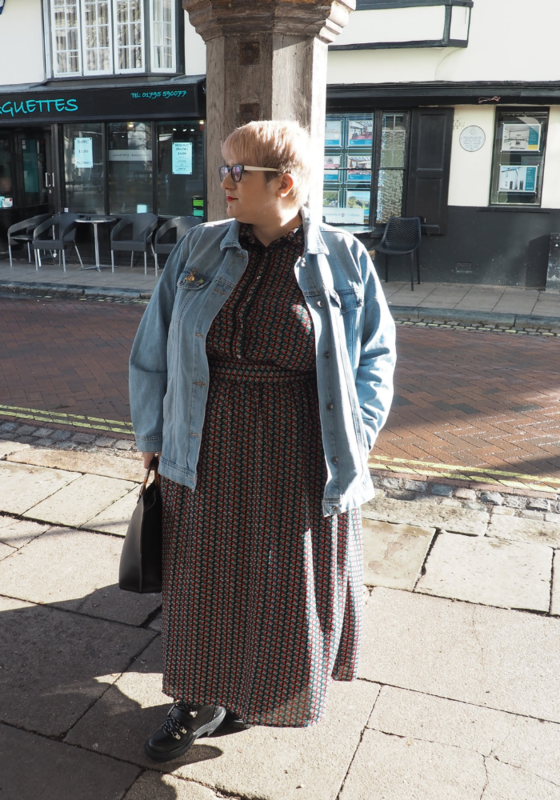 I am all about the Midi Dresses this year, thanks to some tights that fit and finding chub rub knickers. 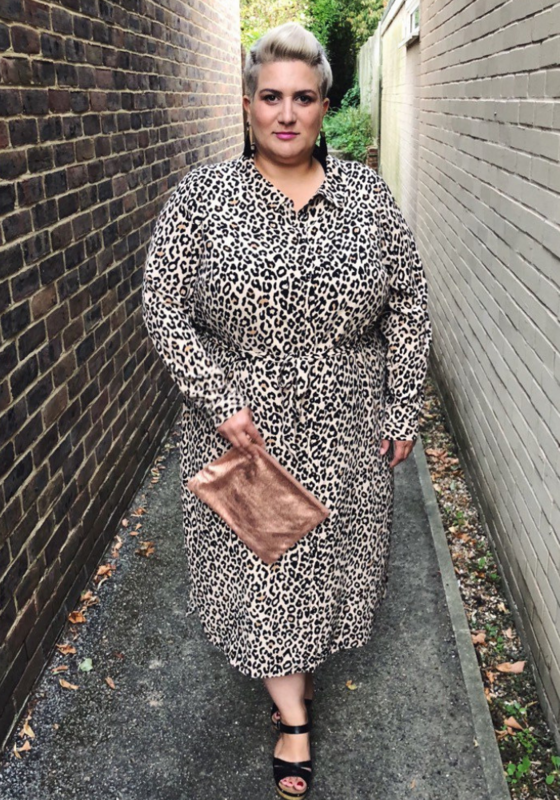 My Leopard Print shirt dress from Evans comes out the most, at least once a week, it is perfect for all seasons and can be worn so many ways. I never thought I would wear animal prints but I have really enjoyed wearing them these past 6 months especially with my signature Red Lip. Still on the look out though for that perfect pair of jeans, for super short plus size legs. 5. How do you take care of your skin and what are some of your favourite products? Beauty products are one of my guilty pleasures, I subscribe to a beauty box so I am always changing up my routine when it comes to skincare. Currently I am loving Daily Concepts charcoal soap as you skin feels so clean after using. I also really believe in doing face, foot and hand masks once a week as not only does your skin change on your face as you get older but your body as a whole. Most certainly everyone should have a pair of foot mask socks to wear to bed once a week in my opinion. 6. What are you lusting over right now in either fashion or beauty? I always have quite a list of things I am lusting for. Fashion, as I said above I still can not find that perfect pair of jeans, but also I am on the hunt for a good white shirt and new trainers, a staple pair that I can wear with all types of outfits as I think other than sandals, trainers are my favourite type of footwear. I guess you could say as I get older I am aware how important it is to have those good quality staple wardrobe items. Beauty wise, I really want to give Charlotte Tilbury lipsticks a try, I have heard good things but I am quite fussy when it comes to lipsticks. 7. Finally, what’s your favourite way to unwind? Relaxing is so important when you are a busy working Mum, so I make sure to have time every week to do the things I love. Being creative is one of my biggest passions, whether it is making something for my home, up-cycling clothes or trying out new make up looks. I also love nothing more than heading out on a day date with Ashley exploring new little towns and finding little shops with treasures that I have never seen before. I will never turn down some pampering either though. Thanks so much to Kara for taking part – I have to agree, everyone needs a pair of foot mask socks! Thanks for having me. Feel truly honoured to help share how I think 40 means loving fashion and beauty even more. Jen as you know I am a huge fan of Kara already ! A fabulous woman I have the pleasure of calling an online mate ! !